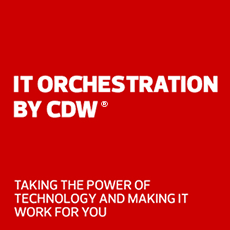 CDW's IT consulting and professional services turn your technology goals into business wins. As demands on IT continue to grow, keeping up can be a challenge. And while meeting your current needs is a good start, the best technology solutions consider future needs as well. Our IT professional services team can help you build and orchestrate a strategy that supports your organization both today and tomorrow. Our experts will assess your objectives and identify areas of opportunity. Then, with your unique needs in mind, we’ll recommend technologies and services that will give your organization a competitive advantage. We will leverage our industry partnerships to help get your new technology up and running and manage it for the long haul. Give us a call at 800.800.4239 to learn more. See how the small IT team at Xcel Energy Center worked with CDW Professional Services to upgrade the home of the Minnesota Wild with fan-friendly Wi-Fi. Ensuring the ultimate fan experience inside FirstEnergy Stadium takes a lot of planning and testing. That's where CDW Professional Services comes in. The experts at CDW helped The Tour take a deliberate approach to moving off its on-premises email system to gain productivity tools for its users in the process. Learn how we can help orchestrate your IT solution with comprehensive IT consulting and professional services, including cloud, digital workspace, data center and security offerings. Our IT consulting and professional services team — over 1,000 professionals strong — deploys out of 25 U.S. locations to deliver personal service that helps you understand and meet your business and technology needs. Maintaining top certifications from the likes of ITIL, HIPAA and Cisco, we have the expertise to roll out custom onsite and cloud solutions across diverse industries in the public and private sector. Data center maintenance can quickly eat through your IT budget. Our data center upgrades can help you cut costs by replacing high-maintenance hardware with converged infrastructure and virtualized network and storage resources, on-premises or in the cloud. With the proliferation of mobile devices and the Internet of Things, there's more traffic on your network than ever. Before you implement any new IT solution, our professional services team will assess the impact on your network bandwidth and recommend upgrades as needed. As anytime, anywhere workplaces become the norm, your organization needs a control center for employee- and corporate-owned devices, as well as tools for seamless collaboration. Our team will help you optimize your network for mobile workspaces and collaboration while prioritizing efficiency and security. Security touches every layer of your network infrastructure and requires a holistic defense strategy that aligns people, processes and policies. We prioritize security in everything we do, but we also specialize in security assessments and overhauls to safeguard one of your most precious assets — your data. Cloud applications reduce your dependence on high-maintenance hardware and help you mitigate risk by ensuring business continuity, fast disaster recovery and regulation compliance. Our IT consulting team can assess your needs and help you select the right SaaS or IaaS apps and cloud solutions for your business. CDW’s Consultative Advisory Services can help your IT team prepare for the future. Our consultants have years of experience in IT direction, process improvement, governance and technology for cloud, IT operations and business continuity as well as mergers and acquisitions. We help you align business and technology goals to ensure your project is successful from beginning to end through our agnostic and transformative IT consulting services. We offer end-to-end support with assessing your infrastructure, designing your solution and deploying your technology, so your team will be able to focus on mission-critical projects. We can help you find solutions to better serve your customers, constituents, patients or students and offer the support you need to deliver them, from high-speed Wi-Fi to multichannel shopping. Call us at 800.800.4239 to learn more about CDW Professional Services.